The state should protect public safety by making it harder for parents to forgo shots. Maine is now No. 9 on a top 10 list of dubious distinction: the states with the highest rate of unvaccinated children. The number of youngsters starting kindergarten in Maine without all of the required shots has jumped by about half in the past 10 years to 3.9 percent, or about 600 across the state — an increase driven entirely by parents with philosophical objections to vaccinations. Those who opt not to have their own children vaccinated, though, are making a decision that affects the whole community. In other states, those too young for vaccinations have died because falling immunization rates increase the chance that infectious diseases will spread. Meanwhile, Maine legislators have crossed their fingers and hoped the state never sees a full-fledged outbreak — a misinformed, shortsighted approach that lawmakers should abandon in favor of putting the public safety first. Groups that are trying to keep immunizations on track in Maine haven’t gotten a lot of help from policymakers in recent years. Parents don’t have to do much to secure a philosophical exemption, and a bill that passed the House last session would have made the process even easier. Opposition to immunizations is rooted in no one ideology. 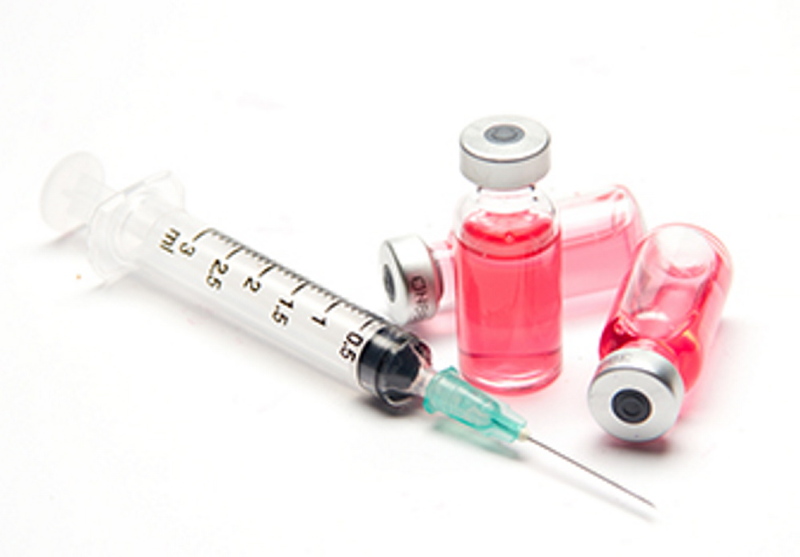 Because children first get the measles, mumps and rubella vaccine at 12 to 15 months, and the first signs of an autism spectrum disorder often appear at 15 to 18 months, concerns have arisen that the vaccine is linked to autism. However, numerousscientificstudies have debunked this claim. Other critics of vaccinations cite the presence of mercury, formaldehyde or aluminum in vaccines. But there’s noevidence that the trace levels of these chemicals in vaccines are harmful. And the benefits of vaccinations are stunning: Since 1924, immunizations have prevented 103 million cases of polio, measles, mumps, rubella, hepatitis A, diphtheria and whooping cough, according to a New England Journal of Medicine study. After the study was published, one of the authors estimated that the vaccinations have saved 3 million to 4 million lives. Though there’s a lot of data in support of immunizations, doctors don’t have a big window of opportunity to present it to vaccination skeptics. “To have a good conversation about vaccines takes 45 minutes,” and physicians don’t have that much time to spend with each patient, Dr. Laura Blaisdell, a Yarmouth pediatrician who’s researching why some Mainers are forgoing vaccines, told the Maine Sunday Telegram. Because more parents are opting out of vaccinations for their children, there’s been a resurgence of childhood diseases. In 2012, for example, the annual number of reported whooping cough cases hit 48,277, the highest since 1955. Sixteen infants and two children died of the disease, and half of the babies who were infected had to be hospitalized. Vaccines are the most effective when nearly everyone is immunized. If even 5 percent of the population opts out, it puts a lot of people at elevated risk of infection — not just the exempted children, but also babies who aren’t old enough yet to be immunized, children who haven’t gotten all of their shots and adults who can’t be vaccinated for medical reasons, including pregnant women and people with compromised immune systems. Addressing this threat to the community is where the Legislature can step in. Right now, all a Maine parent has to do to opt out of vaccines is to sign a form submitted to their child’s school. But some state legislators and the head of a statewide pro-vaccination group are renewing efforts to make it harder for families to forgo immunizations. Washington state — where the opt-out rate reached 7.6 percent in 2009 — enacted a law in 2011 that requires the signature of a medical professional to forgo vaccinations on philosophical grounds. The opt-out rate has since fallen, because the measure has given doctors a chance to meet and make the case for shots with parents critical of vaccines, said the head of the University of Washington’s Neighborhood Clinics. It won’t be easy to pass the signature mandate in Maine, which supported a proposal to weaken state vaccination laws last session. L.D. 754 — which would have required that parents be given a list of ingredients in vaccines and informed about how they could opt out — passed the House 82-61 in 2013, over the objections of the Health and Human Services Committee. Though the measure failed in the Senate, the bill’s sponsor, who has since been termed out of the Legislature, has said she believes another lawmaker will take up the proposal in 2015. Our legislators should better inform themselves and stand behind any effort to make sure that more Maine children can access the protections of immunizations. Millions of people have benefited from vaccines since they were developed, and our youngsters shouldn’t be among those who miss out.